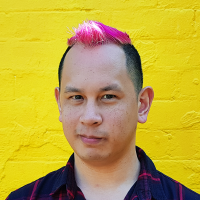 Ken Wong is the founder and creative director of Mountains, a craft games studio based in Melbourne, Australia. Their debut game Florence won Best Mobile Game at The Game Awards, an Apple Design Award, and was included in the lists of the best games of 2018 by TIME, The Guardian and The Washington Post. Ken is also known for his work as lead designer on ustwo's Monument Valley.